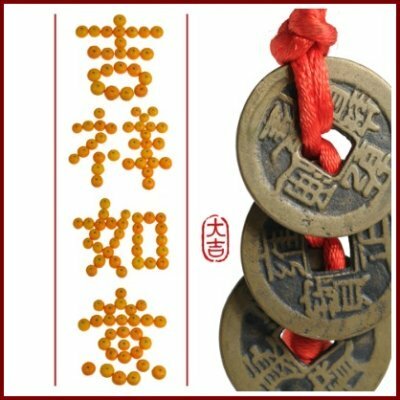 Chinese New Year Greetings - Gong Xi Fa Cai! 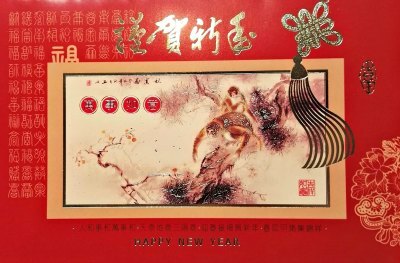 So together it means "best and prosperous wishes" for the coming year. So Xīn Nián Kuài Lè translates literally into "Happy New Year"
So can you guess what you just asked for? Hóng Bāo Ná Lái means something like "May I have my Red Envelope please? ", so it's quite common for children to greet their uncles and aunties when they arrive with Gōng Xǐ Fā Cái, Hóng Bāo Ná Lái!!! 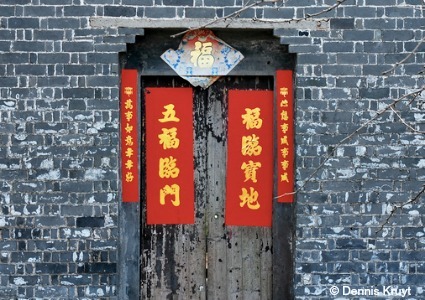 We also see Chinese New Year Greetings in the banners and scrolls that hang from just about everywhere, mostly on the side of entrances which offer a warm welcome to the guests and visitors as well as wishes of good fortune. 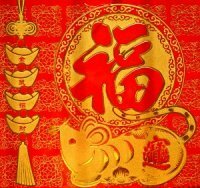 The most popular and prominent symbol you will see come Chinese New Year time is FU, here to the left, which means Prosperity and Wealth. Here are some of the most popular greetings and quotes you often see printed, you can use them to make your own banners to decorate your house, greeting cards to send to friends and loved ones, red envelopes, etc. Follow the links to learn how to write the characters stroke by stroke. Greetings! May Wealth Come Your Way! Good Luck! Hope Everything Goes Well! Gōng Xǐ Fā Cái !! !